Posted On April 12, 2018 by Team iCynosure. As soon as I started working, I realised the importance of investment planning and tried to find out about ways and means to investment my meagre earnings. As my investment journey was set in motion; I realised that I set out on a trip that was without any direction, without a goal, and without a destination. I made investments without understanding the product, purpose or concept of the vehicle. Friends argued with me about how difficult it would be to understand about investments, but very few actually knew how the entire gamut of financial planning worked. I first realised that investment planning without a well-thought-out financial plan does not yield the desired results. 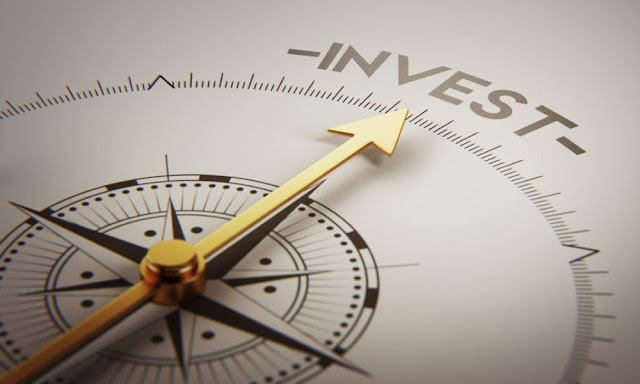 The general notion among novice investors like myself is that financial planning and investment planning are the same things, but, financial planning is the larger spectrum that includes investment planning. Without any doubt, investment planning plays a very important role in a successful financial plan, but it is not comprehensive in itself. However, it is imperative to understand the difference between the two, to truly improve your financial health. In layman terms, financial planning is a professional and realistic plan of organising money for the entire cycle of your life. This realistic financial plan is the evaluation of your current financial situation and a forecast of your future financial situation, that enable an advisor to plan your savings, expenses, taxes, term insurance, investments, asset, and last but not the least retirement. A good financial plan will enable you to achieve your short, medium and long-term financial goals, and will have to be revisited and altered at important junctions in your life. In simple terms, investment planning is a systematic and consistent plan to allocate your resources to maximise the returns. This consistent plan is the structured method to continuously allocate the funds to investment vehicles even when the growth isn’t as much as forecasted, that enables an advisor to act on behalf of you and execute a pre-decided investment structure factoring in risk, diversification, and returns. A good investment plan will enable you to make decent profits even during market volatility and establish a good base for your financial plans. The next question one would ask is when the right time is to start planning your finances. I would say it is TODAY, no matter what your age is. With every passing year there will be new challenges and with every passing decade, there will be new expenses that have not been accounted for. Both investment planning and financial planning are customised solutions and the most appropriate way to move ahead confidently would be to seek professional help. The way forward would be to work with a certified advisor to analyse your financial life, access your risk appetite and decode the best plan that will help you live your life the way you ought to. Don't take your financial health lightly, it is as important as your physical and emotional health. Aegon Life: A joint venture between Aegon – world’s leading financial services and Bennett, Coleman & Company – India’s leading media house, Aegon Life Insurance launched its pan-India operations in July 2008. Armed with a vision to be the most recommended new age life insurance company, Aegon Life adopts the power of global expertise by leveraging digital platforms to bring transparent solutions, and to prioritize customer needs. Our financial planning and investment solutions include term life insurance plans, pension plans, unit-linked insurance plans (ULIPs), health insurance plans, child education plans, and more.